In a year that has seen everything from the arrival of an all-new Auris hatchback, to the unveiling of the funky ME.WE Concept Toyota has produced a number of videos to bring its product news and exciting features to life. Here’s a look back over the Toyota videos that made the biggest splash on social media in 2013. The all-new Auris arrived at the start of the year, sporting Toyota’s latest ‘Keen Look’ design language, and offering improved driving dynamics. The first advert for the new model, titled ‘Better belongs to the curious’, sees the car driving through a modern cityscape, as the narrator explains that it’s time to “say hello to better”. It has been viewed over 230,000 times on YouTube. 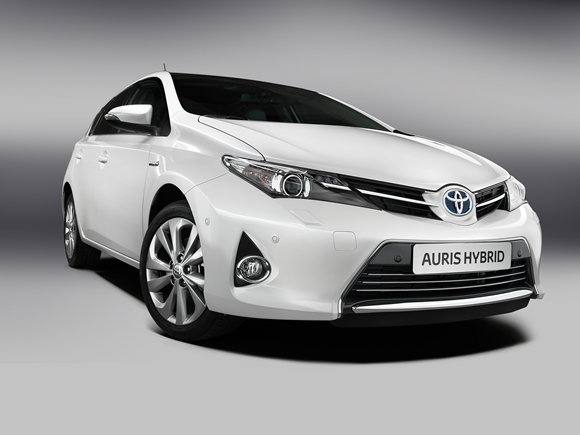 Find out more about the Auris range on the designated section of the Toyota UK website. Back in June, Toyota produced ‘Factory to Forecourt’, a social media campaign which highlighted how the Auris hatchback is made at Toyota’s UK factory in Burnaston, Derbyshire. Kicking-off the campaign was a video introduction to the Toyota Production System. Filmed on the factory’s production line, and featuring staff from different departments of Toyota Motors Manufacturing UK (TMUK), the video provides a fascinating insight into the meticulous processes employed to ensure that Toyota’s models remain the industry benchmark for build quality and reliability. See Factory to Forecourt in its entirety here. Throughout the year, Toyota has been celebrating the most exhilarating activities on offer in the UK, with National Geographic Emerging Explorer Dan Raven-Ellison and his son Seb. The pair have toured the country in a RAV4 SUV, partaking in everything from mountain climbing to piloting a hovercraft, and filming each mini-adventure as they went. In October, Dan and Seb travelled to Bethesda, North Wales, to ride a zip line 150 metres above the ground at an abandoned quarry. The accompanying video, shot from the intrepid pair’s point-of-view as they rode the zip up to speeds of 100mph shows that this is one activity not for the faint-hearted! Watch all of Dan and Seb’s exploits on the official Toyota UK YouTube channel. Find out more about the RAV4 on the designated section of the Toyota UK website. The GT86 TRD Griffon – a one-off version of the GT86 tuned by Toyota Racing Development (TRD), took pride of place on Toyota’s stand at the 2013 Goodwood Festival of Speed in July. To officially unveil the Griffon before its appearence at Goodwood, the model was covered in silk at a top-secret location in Hampshire, which was slowly peeled-off in a tantalising video, that climaxed with the model hitting the famous Goodwood track. Find out more about the GT86 TRD Griffon project here. The Toyota ME.WE Concept represents a vision for the city car of the future. The ME.WE is a masterclass in flexibility, being a convertible, off-roader and a pick-up – it’s no wonder that our video interview with the designers of the innovative concept was a hit on YouTube, notching up more than 240,000 views. Find out more about the ME.WE Concept here. To see more videos, visit the official Toyota UK YouTube account.